Don Kincaid co-directs the FLPBIS Project at the University of South Florida. He also directs USF's participation in the OSEP Positive Behavioral Interventions and Supports Center, a partnership of Universities and agencies across the country and the Florida AWARE Project at USF to promote mental health in schools. Don also co-directs the Florida Center for Inclusive Communities, a University Center for Excellence in Developmental Disabilities and the School Climate Transformation Project for Florida. His professional interests include the areas of person-centered planning, positive behavior interventions and support, disabilities, and school and systems change. Heather George is a Research Professor at the University South Florida who co-directs the state-wide FLPBIS Project and the federally-funded OSEP Technical Assistance Center on Positive Behavioral Interventions and Supports (PBIS Center), and the OSHS School Climate Transformation - SEA (Florida SCT) grants. She is also the past-President (2014-2017) of the international Association for Positive Behavioral Support (APBS) and has served on the APBS Board of Directors since 2009 where she currently is serving as an Emeritus Ex-Officio. Heather brings extensive experience in providing training and technical assistance in PBIS across the continuum in all settings and in coordinating systems change efforts at the local, state, national and international level to promote an integrated approach to implementing evidence-based practices through a multi-tiered framework. She teaches at USF, serves as a Consulting Editor for Preventing School Failure and since 2011 has directed over $28 million dollars in external funding. Heather received her Master’s degree in Clinical Psychology at Indiana State University in 1992 and her Doctorate degree in Curriculum and Instruction with an emphasis in Special Education, School Psychology and Reading at Louisiana State University in 2000. Before joining FLPBIS in 2001, she served as the Technical Assistance Coordinator of Louisiana's state-wide PBIS Project. Prior to that time, she served as Administrator for a community-based respite, rehabilitation, and vocational program in Indiana. Her areas of interest include positive behavior support, school-wide discipline, systems-level change, implementation and function-based behavior support planning, and international applications of PBIS. Karen Childs coordinates evaluation activities for the FLPBIS Project including the collection and maintenance of data and development of reports for analysis to guide the project and its participating districts and schools in making data-based decisions regarding implementation of behavior support in schools. Karen brings to the position experience in teaching and research with children experiencing emotional and behavioral challenges, teacher training, family involvement, and policy development. 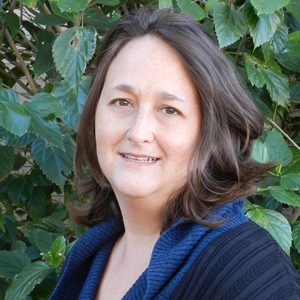 Kathy Christiansen has been working with FLPBIS Project since 2008 as a Technical Assistance Specialist. She provides, training, technical assistance, and coaching support to school districts in the northwest panhandle of Florida on PBIS implementation within a multi-tiered system of supports. Prior to joining the project, Kathy served as a behavior consultant with the Prevent-Teach-Reinforce (PTR) research project, a randomized control trial to evaluate the effectiveness of a school-based model for Tier 3 behavior interventions funded through the Institute of Education Sciences, US Department of Education. She also worked as consultant with the Center for Autism and Related Disabilities (CARD) at USF. Kathy earned her Master of Science in Counseling Psychology from the University of Southern Mississippi. In addition to her work at USF, Kathy has taught K-5 students with emotional disabilities, served as a district Behavior Specialist, worked as a consultant with residential programs in California, Tennessee, and Missouri, and was a therapeutic foster care provider for over five years. Kathy’s professional interests include systems coaching, PBIS in the classroom, effective Tier 3 processes and procedures, function-based assessments, and individualized behavior support planning. 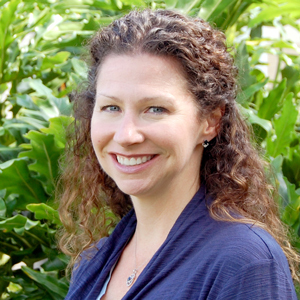 Lauren Evanovich is the Research Assistant Professor for the FLPBIS Project. Dr. Evanovich provides consultation, training and technical assistance to school districts interested in multi-tiered systems of behavior support (MTSS). 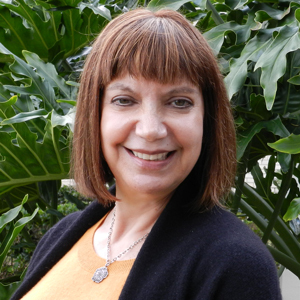 Dr. Evanovich assists in developing research, resources, and supports to both Florida schools and the National Positive Behavior Supports Network around the implementation of Tier 2 and Tier 3 behavior support systems. Dr. Evanovich received her Master’s degree in comprehensive K-12 Special Education with a concentration in Positive Behavior Intervention and Supports (PBIS) at the University of Connecticut, and her Doctorate degree in Curriculum and Instruction, Special Education with an emphasis on Emotional and Behavioral Disabilities at the University of Louisville. Dr. Evanovich continues to retain a valid Connecticut State teaching certification in K-12 Special Education, and worked as a special education lead-teacher in the New Haven Public Schools. 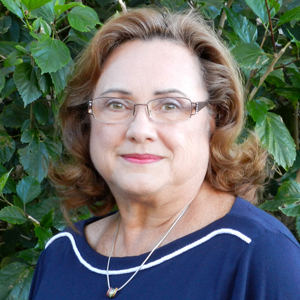 Dr. Evanovich’s research and scholarship interests include MTSS, with focus on Tier 2 and Tier 3 academic and behavioral interventions; academic interventions for students with learning disabilities; School-wide and Juvenile Justice Facility-wide PBIS implementation; and transition services and programs. Brian Gaunt is the Inter-Project Coordinator for the FLPBIS and the Florida PS/RtI Projects. Dr. Gaunt assists both projects with coordinating activities to assist districts with implementing and aligning their academic and behavior systems of support. This includes facilitating collaboration to promote an integrated approach to implementing Multi-tiered Systems of Supports (MTSS) as a framework for organizing school organizations and implementing evidence-based practices in schools. Dr. Gaunt received his Master's degree in Behavior Analysis at the University of Nevada, Reno, Education Specialist's degree in School Psychology with an emphasis in Curriculum & Instruction at USF, and his Doctorate degree in School Psychology specializing in Reading Development and Evaluation at USF. Prior to joining the FLPBIS Project, Dr. Gaunt worked as an Early Intervention/Pre-School Consultant, School Psychologist, and most recently as an RtI Coach and Regional Coordinator for the Florida PS/RtI Project. His research and applied interests include educational system's change, program evaluation, literacy development, integrated service delivery systems, early childhood learning, social and emotional development, and parent/child/family advocacy. Dama Abshier is a technical assistance specialist with the Florida Positive Behavior Interventions and Supports (PBIS) and Florida Advancing Wellness and Resiliency in Education (AWARE) Projects. Dr. Abshier earned a Bachelor of Science degree in Psychology from the University of Florida. She earned a Master of Arts (MA), Education Specialist (Ed.S. ), and Doctor of Philosophy (Ph.D.) degree all in School Psychology from the University of South Florida. Prior to joining the FLPBIS Project, Dr. Abshier worked for 17 years in Marion County Public Schools as a district administrator in a variety of capacities to include: coordinating a Behavior Support Team and Student Services Evaluation Team; overseeing School Health Services, bullying prevention, education and compliance, Section 504 education and compliance; PBIS District Coordinator (DC); professional development related to problem solving/response to intervention, multi-tiered systems of support (MTSS), early warning systems, classroom management, verbal de-escalation, physical intervention, and PBIS; Code of Student Conduct, alternative placements and expulsions, alternatives to out of school suspension, diversion programs in lieu of placements/expulsions; education of detained and incarcerated youth, home education, virtual school, teen parenting program with childcare, academic fast track for overage middle school unit deficient students, and contract management of four alternative schools. As the PBIS District Coordinator in Marion County for 11 years, Dr. Abshier has expertise in leading a large district (50+ schools serving over 43,000 students) in training all schools in the implementation of school wide PBIS, planning at the district level, and guiding leaders through classroom coaching related to classroom application of PBIS. As principle investigator for the sub-recipient of federally funded research projects, Dr. Abshier continues to work part time in Marion County supporting sustainability of the integrated systems framework (ISF) to integrate PBIS and mental health. Dr. Abshier is excited to utilize her experiences to assist school districts in their efforts to maximize positive student outcomes for all. 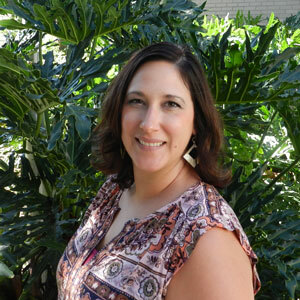 Kelli Henson is a Postdoctoral Research Scholar for the Florida Center for Inclusive Communities and the FLPBIS Project. Dr. Henson engages in research and tool development that support implementation and sustainability of Multi-tiered Systems of Supports (MTSS). In addition to her work with the FLPBIS Project, she teaches graduate level courses in the University of South Florida School Psychology Department. Dr. Henson received her Master’s degree from Fordham University in Applied Developmental Psychology, Master’s and Education Specialist degrees from the University of South Florida in School Psychology, and her Doctorate degree from the University of South Florida in School Psychology with a concentration in reading leadership and evaluation. 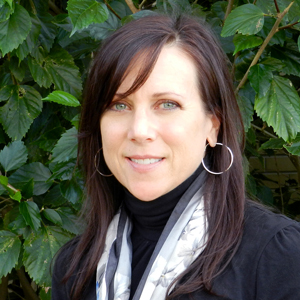 Dr. Henson is a Nationally Certified School Psychologist (NCSP) and a Board Certified Behavior Analyst (BCBA). Prior to joining the FLPBIS Project Dr. Henson worked as a school psychologist, district Response to Intervention coach, school-based MTSS coach for behavior and academics, and school district leadership support. 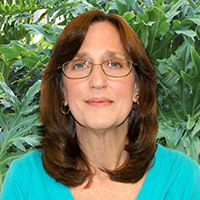 Her current research and applied interests include systems coaching, Tier 3 behavior and academic intervention and assessment including Functional Behavioral Assessment and Behavior Intervention Plans (FBA/BIP), data-based decision-making within a problem solving model including the use of Early Warning Systems, and PBIS Tier 1 impact on school climate. 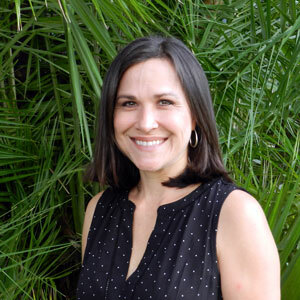 Dr. Rose Iovannone is a Research Assistant Professor in the College of Behavioral and Community Sciences, Department of Child and Family Studies, Florida Center for Inclusive Communities at the University of South Florida. Prior to joining the PBIS Project, Dr. Iovannone was the director of one of the first randomized controlled trials that evaluated the effectiveness of a Tier 3 functional behavior assessment/behavior intervention plan, the Prevent-Teach-Reinforce Model (PTR), with students in grades K-8. She is currently the director of the Interdisciplinary Center for Evaluation and Intervention (ICEI) and the Students Accessing General Education (SAAGE) research project. Dr. Iovannone provides technical assistance to district efforts to improve Tier 3 behavior systems. She regularly provides technical assistance to agencies and school districts in multiple states to implement the PTR model and provides state departments and agencies with technical support for building the necessary systemic infrastructure that will improve services for students with autism spectrum disorders. 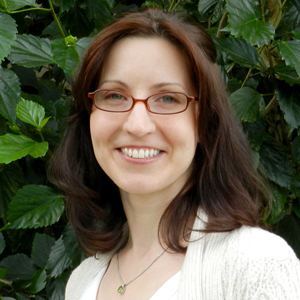 Dr. Iovannone’s Ph.D. is in educational psychology, and she is a board certified behavior analyst. Her areas of interests are research, functional assessment and function-based support plans, Tier 3 processes and procedures, systemic change, assessment/measurement, and autism spectrum disorders. 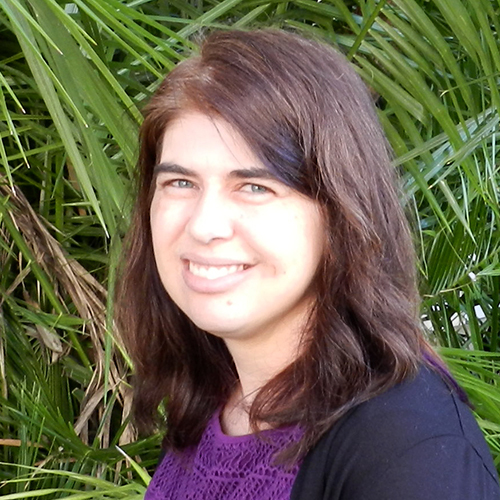 Laura Kern is currently a postdoctoral research scholar at the University of South Florida. She received her doctorate in Educational Psychology with a focus on Special Education at the University of Connecticut’s Neag School of Education as well as a Certificate in Evaluation and is interested in the intersection of policy with educational practice, the reduction of aggressive behaviors in schools, and the implementation of multi-tiered systems of support. She practiced law for over ten years before studying special education, receiving her JD from Quinnipiac University. She also received her master of arts in special education from the University of Connecticut. Betsy Lazega currently serves as a Technical Assistance Specialist with FLPBIS Project and began working with the project in 2017. 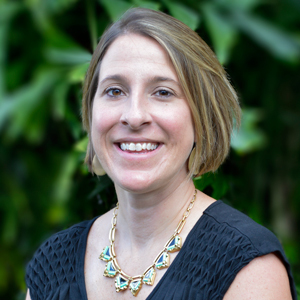 Betsy holds a Specialist of Education degree in School Psychology from the University of South Florida, and a Bachelor of Arts degree in Psychology from the University of South Florida. 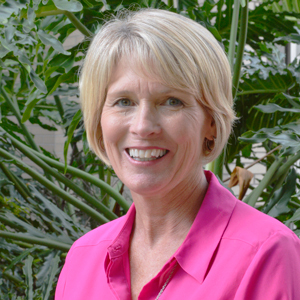 Prior to joining the FLPBIS Project, Betsy worked in Hillsborough County Public Schools for 16 years. She served as a School Psychologist, district facilitator for MTSS, and a District Resource Teacher for Charter Schools. She also provided consultation and support to new School Psychologists in the district as an Instructional Mentor. Her research and applied interests include systems change, exceptional student education, social justice, and disproportionality. 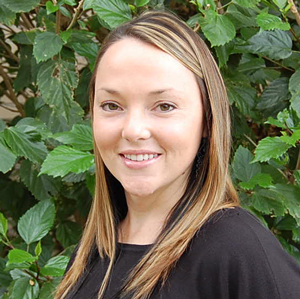 Katrina Emerich is a Technical Assistance Specialist for the FLPBIS Project. She provides training and support to school districts across the state of Florida. Katrina earned her Master’s Degree in Educational Leadership from the University of South Florida (Tampa) and Bachelor’s Degree in Elementary Education from Bloomsburg University of Pennsylvania. Katrina accumulated eight years of teaching experience in the Hillsborough County School District as an elementary teacher, ABE/GED teacher for incarcerated adults, and a reading resource teacher. She also served as a district behavior specialist and professional development facilitator for five years in Texas, focusing on the implementation of preventive behavioral strategies and positive support systems for students struggling with severe behavioral disorders. Her professional interests include utilizing evidence-based research and data-driven decision making to reduce disproportionality within schools, promoting Social Emotional Learning (SEL) and a trauma-sensitive mindset throughout educational settings, and supporting the implementation of a Multi-Tiered Support System (MTSS) so students can reach their highest potential. Stephanie Martinez currently serves as a Technical Assistance Specialist with FLPBIS Project and has been working with the project since 2003. Dr. Martinez provides training and technical assistance to districts around Tier 1, Tier 2, Classroom Coaching and 4 step problem solving to address disproportionality. Dr. Martinez received her Master’s Degree in Special Education from the University of Florida and her Specialist Degree in Educational Leadership from Nova Southeastern University. She earned her doctorate degree from the University of South Florida in Curriculum and Instruction with a Specialization in Special Education. She recently completed the coursework for certification in Applied Behavior Analysis. Prior to coming to the project she worked as a Special Education Teacher and a Placement Specialist. Her current research interests include implementation of school-wide PBIS in urban schools and secondary schools, Tier 2 supports, classroom supports and disproportionate discipline. 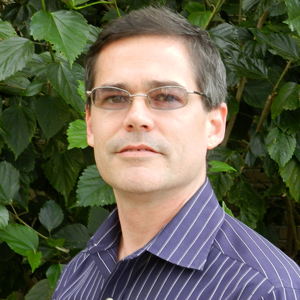 Devon Minch is a technical assistance specialist for the FLPBIS Project. Dr. Minch provides training and technical assistance to Florida school districts to implement positive behavior interventions and supports within K-12 public schools in the state. Much of her professional activity involves coordinating systems change efforts at the local and state levels to support the implementation of evidence-based practices, particularly in Positive Behavior Interventions and Supports and Response to Intervention. Dr. Minch also assists in developing tools and resources related to the FLPBIS Model School process, PBIS evaluation efforts, classroom PBIS supports and family and community engagement in MTSS. Dr. Minch received her Master's degree in School Psychology, Educational Specialist's degree in School Psychology, and her Doctorate degree in School Psychology (specializing in Systems Change and Family and Community Engagement) at the University of South Florida. Dr. Minch is a Nationally Certified School Psychologist (NCSP). Prior to joining the FLPBIS Project, Dr. Minch worked as a school psychologist in the Pinellas County School District and as a researcher for the Florida Problem-Solving/Response to Intervention (PS/RtI) Project. Her research and applied interests include educational systems change, family and community engagement, program evaluation, and classroom PBIS systems. Catherine Raulerson joined the FLPBIS Project in 2015 and provides consultation, training, and technical assistance to school districts that are implementing a multi-tiered system of behavior and academic support. Catherine holds a Specialist of Education degree in School Psychology from the University of Florida, and a Bachelor of Science degree in Psychology from Florida State University. 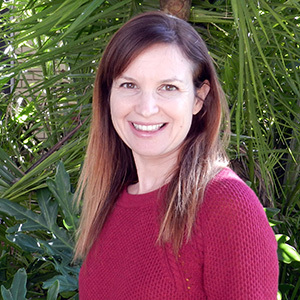 Prior to joining the FLPBIS Project, Catherine worked as a School Psychologist, district coordinator for PBS, a district MTSS Coach and most recently as a Regional Coordinator for the Multiagency Network for Students with Emotional/Behavioral Disabilities. Catherine’s interests are in systems change, early childhood, and mental health. In addition to her technical assistance with the FLPBIS Project Catherine also works as a technical assistance specialist on the Florida Advancing Wellness and Resiliency in Education (AWARE) grant. Nichole Fintel is a Technical Assistant for the FLPBIS Project where she supports evaluation activities and TA product development. Nichole brings to the position experience in the areas of youth transition to adulthood, community coalition building, and implementation science. She previously served as a training and technical assistance specialist at the national technical assistance center for SAMHSA’s Healthy Transitions and Project AWARE grantees. She holds a Master’s of Science degree in Public Health and a graduate certificate in translational research from the University of South Florida. Therese joined the FLPBIS Project in 2002, starting as a graduate assistant and then joining the staff as a full-time technical assistance specialist in 2006. She currently serves as the FLPBIS Project’s co-lead on the disproportionate discipline workgroup, focusing on developing supports and providing assistance to district and school teams as they use a structured problem solving process to achieve equity in discipline outcomes. 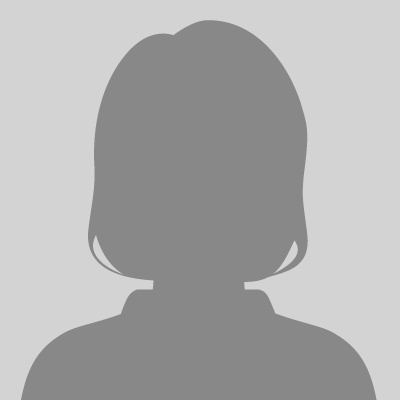 Therese also contributes to the ongoing development of the Project’s RtIB database (www.flrtib.org), providing input on reports and new features. Prior to completing her Ph.D. in school psychology on the topic of disproportionate discipline outcomes in schools that implement school-wide PBIS, Therese worked as a classroom and research assistant while completing her undergraduate degrees in psychology and behavior analysis. Therese is a member of the Association for Positive Behavior Support and the Florida Restorative Justice Association. Her current interests include positive behavior support, equity, restorative practices, and systems change. 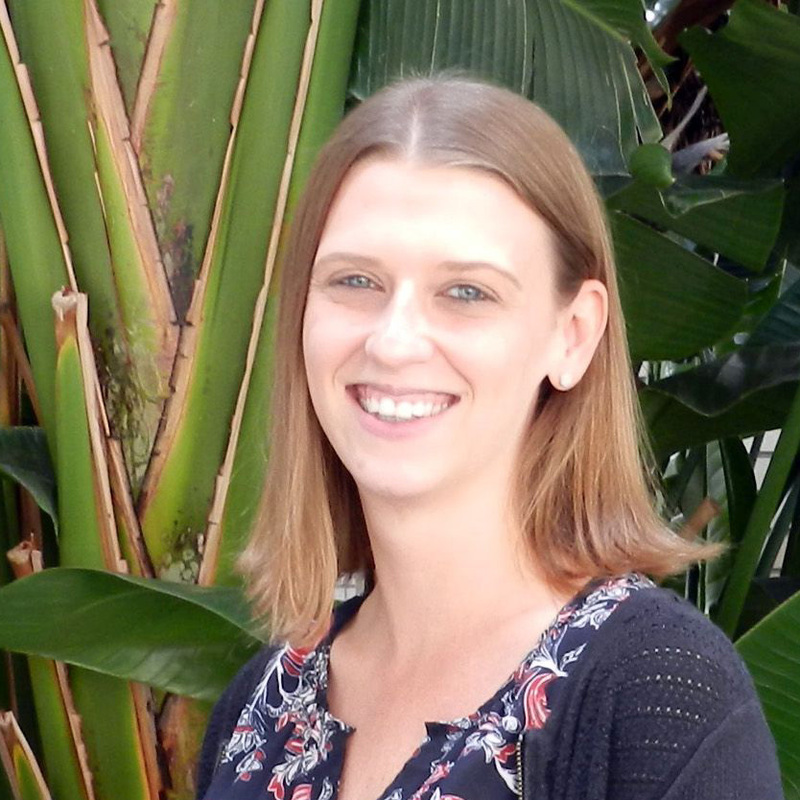 Robyn Vanover joined the FLPBIS Project in 2015 and currently provides training and technical assistance to the school districts along the Treasure Coast. Robyn graduated from St. Joseph Hospital School of Nursing in 1980. She began her career in Illinois as a Pediatric Nurse then spent several years working as nurse/counselor on an adolescent inpatient unit for addiction treatment. Robyn also spent several years working with a consortium of school districts training faculty and staff with developing and sustaining substance abuse prevention, intervention and support systems. It was during this time, she successfully completed training as a Certified Prevention Specialist. After moving to Florida in 1999, she has worked for the Martin County School District as the Safe and Drug Free Schools Coordinator, and later the District Coordinator for Positive Behavior Support. During her years with Martin County School District, Robyn supported 21 schools in the development of a multi-tiered system of supports. 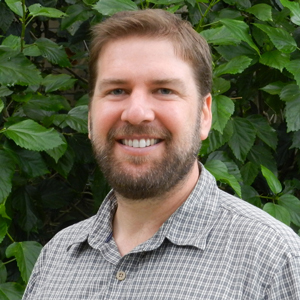 Chris Vatland is a Research Assistant Professor at the University of South Florida, where he collaborates on a number of research and technical assistance projects. In his role with the FLPBIS Project, he is engaged in efforts to reduce the use of restraint and seclusion in schools, increase levels and quality of family and community engagement, and redesign intensive Tier 3 system for behavior support and intervention. 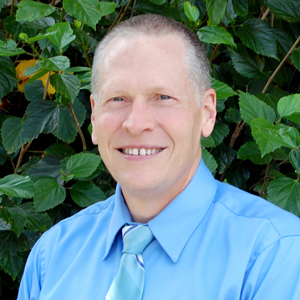 Chris earned his doctoral degree in Special Education from the University of Oregon. Chris has been in the disability field for more than 20 years, first as a direct support provider in Minnesota and Oregon, and then as a behavior support specialist, training specialist, family support coordinator, and case manager for children and adults with intellectual and developmental disabilities. During that time, he saw a need for improvement in support cohesion across settings and improved transition supports for youth and their families. In addition to his work with the FLPBIS Project, Chris is engaged in research and resource development efforts with the Florida Center for Inclusive Communities related to family and community supports from early childhood to adulthood. 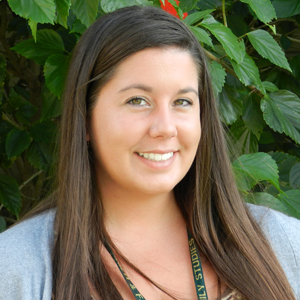 Rebecca Webster is a Technical Assistance Specialist for the FLPBIS Project. She provides training and support to schools across the state of Florida. 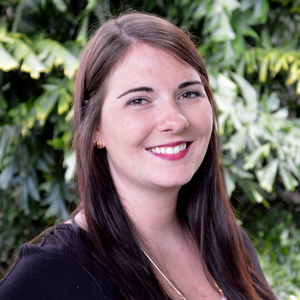 Rebecca is also the lead support specialist for Florida’s Response to Intervention for Behavior (RtIB) Database. Rebecca completed her M.Ed. in Curriculum and Instruction: Applied Behavior Analysis from Arizona State University. She is currently a doctoral student in the inaugural Behavioral and Community Sciences program at the University of South Florida. Her professional interests include social-emotional learning in early childhood education, addressing disproportionate discipline in education, and teaching educators about using data to inform decision making.